Course content is designed to foster your interest. Modern skills like Agile, Leadership/Strategic and Project Software are in high demand. Upgrade your skills and earn up to 60 PDUs to satisfy PMI continuing education requirements at the same time. Earning PDUs and gaining new relevant skills at the same time is perfect for busy professionals! PMP certification renewal at your own pace anywhere, anytime. By signing up now, you give yourself the best chances to complete your training at a time that best fits your work and family schedules. 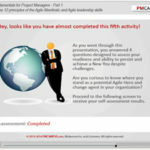 PMCampus.com offers online project management classes with 30 days access. Time extensions are affordable. All our value bundles give you an extra 90 days access. PMCAMPUS.com is an Independent Education Provider and issues training certificates for the Category "Education and Training". Our economical offering stretch your educational dollars. 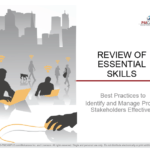 Learning objectives are aligned with PMI Talent Triangle®. Your certifcate displays the distribution of PDUs per skillset (Technical, Leadership, Strategic and Business). Enjoy quality training that doesn't break the bank! Get a 5 PDU course FREE when you Buy any Course or Bundle at PDUcampus.com. 50% Off on Selected 60 or 45 PDU bundles. Browse the Sale Now! "This was a great course and very convenient. I learned very unique details about MS Project, and I have been using it for some time." "The course gave lot of insight to Agile practice." "I absolutely loved this course. I liked how the course is structured which is completely new to me. Very helpful. Great refresher. " "The opportunity to see others experience and to vote on their stories." Also enjoyed how the exams are setup to allow you to Review your answers and retake if needed." "The case studies are relevant and helpful. I will use the skills acquired and the knowledge gained. Thanks for a practical, useful course." 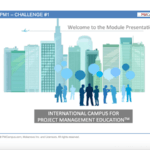 "PMCampus has affordable courses and bundles that enabled me to earn PDUs painlessly." "I would highly recommend these courses as they are a terrific way to get your PDU's and to evaluate what you need to focus on for self development." "This course was great and taught me new things I can do with MS project." "I really enjoyed the case studies and thought they were very useful, real world examples. I also thought the exams did a good job of assessing knowledge. " "I like the practices and searching the internet for new point of views." "Enjoyable course. Good mix of learning techniques." "I liked the format and the ease of use. it is very helpful in learning. A good tool"
"Thank you for the material and activities, it made me think of what we have learned, how it can be applied and new ways to work in the future." "The course content was exactly what I was looking for as I begin to manage more Agile projects. " "I learned a great deal from taking this course - I am already working on Agile projects and this has helped me have a better understanding of the history of agile as well as the given me a common vocabulary. " "Fantastic material, high level tests and great support"
"I liked the search and post/vote activities. It led you to do research and thinking on your own. I took another e-learning course to earn PDUs and found it very dry. I found this course much more engaging and though provoking." "Thank you PMCAMPUS for helping me to obtain PDUs... and renew my PMP certification"
"The course was very useful and the quizzes and mini exam with the rationale was great." "The article was interesting and relevant to discussing CPM"
"Curriculum is well structured with effective learning tools + exercises." "Interactive learning activities are good way of learning." "very nicely done course materials." "Thank you for offering competitively priced pdu options." "Good combination of self learning, real world examples, and research. Thanks." "Case studies are valuable, I enjoyed and learned from the post and vote exercises. The links to web-based information was truly valuable." "The mix of reading, questions and contribution keeps the material interesting and engaging." "Overall this was a good course. When I first signed-up, I had only heard the terms Agile and SCRUM and knew they had something to do with software development. Now I have enough knowledge to actually try out the principles and taking risks (!)" Ready to Earn PDUs Online? Enroll today. Risk Free purchase with our 48 hours Satisfaction Guarantee. PMI, PMBOK, PMP, CAPM, “The PMI Talent Triangle” and the PMI Talent Triangle logo are registered marks of the Project Management Institute, Inc.
“MS Project” is a Microsoft® software. © 2019 Mokanova Inc – All rights reserved for all countries – PDUCAMPUS.com adn PMCampus.com are trademark and services of Mokanova Inc.